1798.100. (a) A consumer shall have the right to request that a business that collects a consumer’s personal information disclose to that consumer the categories and specific pieces of personal information the business has collected. 1798.105. (a) A consumer shall have the right to request that a business delete any personal information about the consumer which the business has collected from the consumer. 1798.120. (a) A consumer shall have the right, at any time, to direct a business that sells personal information about the consumer to third parties not to sell the consumer’s personal information. This right may be referred to as the right to opt out. 1798.155. Any business or third party may seek the opinion of the Attorney General for guidance on how to comply with the provisions of this title. 1798.175. This title is intended to further the constitutional right of privacy and to supplement existing laws relating to consumers’ personal information, including, but not limited to, Chapter 22 (commencing with Section 22575) of Division 8 of the Business and Professions Code and Title 1.81 (commencing with Section 1798.80). The provisions of this title are not limited to information collected electronically or over the Internet, but apply to the collection and sale of all personal information collected by a business from consumers. Wherever possible, law relating to consumers’ personal information should be construed to harmonize with the provisions of this title, but in the event of a conflict between other laws and the provisions of this title, the provisions of the law that afford the greatest protection for the right of privacy for consumers shall control. 1798.180. 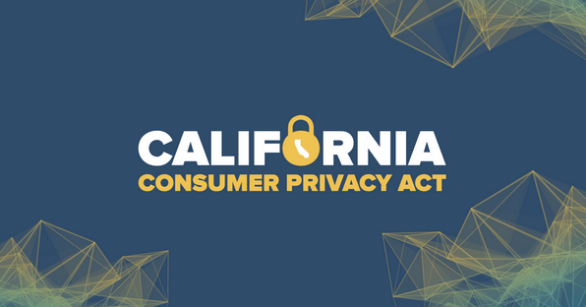 This title is a matter of statewide concern and supersedes and preempts all rules, regulations, codes, ordinances, and other laws adopted by a city, county, city and county, municipality, or local agency regarding the collection and sale of consumers’ personal information by a business. 1798.190. If a series of steps or transactions were component parts of a single transaction intended from the beginning to be taken with the intention of avoiding the reach of this title, including the disclosure of information by a business to a third party in order to avoid the definition of sell, a court shall disregard the intermediate steps or transactions for purposes of effectuating the purposes of this title. 1798.192. Any provision of a contract or agreement of any kind that purports to waive or limit in any way a consumer’s rights under this title, including, but not limited to, any right to a remedy or means of enforcement, shall be deemed contrary to public policy and shall be void and unenforceable. This section shall not prevent a consumer from declining to request information from a business, declining to opt out of a business’ sale of the consumer’s personal information, or authorizing a business to sell the consumer’s personal information after previously opting out. 1798.194. This title shall be liberally construed to effectuate its purposes. 1798.196. This title is intended to supplement federal and state law, if permissible, but shall not apply if such application is preempted by, or in conflict with, federal law or the California Constitution. 1798.198. (a) Subject to limitation provided in subdivision (b), this title shall be operative January 1, 2020. SEC. 4. (a) The provisions of this bill are severable. If any provision of this bill or its application is held invalid, that invalidity shall not affect other provisions or applications that can be given effect without the invalid provision or application.